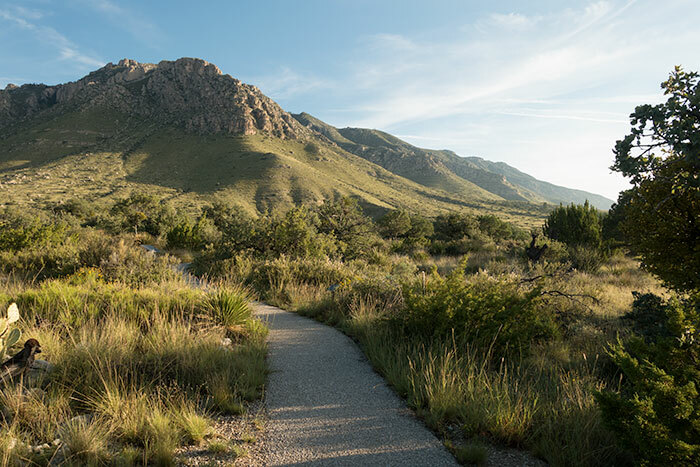 The guide book we recommend for hiking in Guadalupe Mountains National Park park calls this trail a 0.75 mile loop, but it clearly is not a loop and my GPS calls it a 0.90 mile trail. 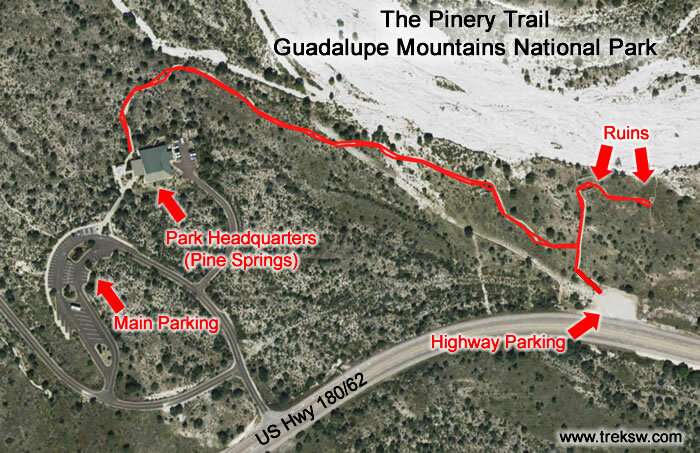 There are two separate trailheads for The Pinery Trail. One begins at a pull-off on the Highway, just to the East of the main entrance to the park (31.893071, -104.817001). The other, which we used to begin our hike for this post, begins just behind the visitor’s center at Pine Springs (park headquarters) (31.894428, -104.821920). 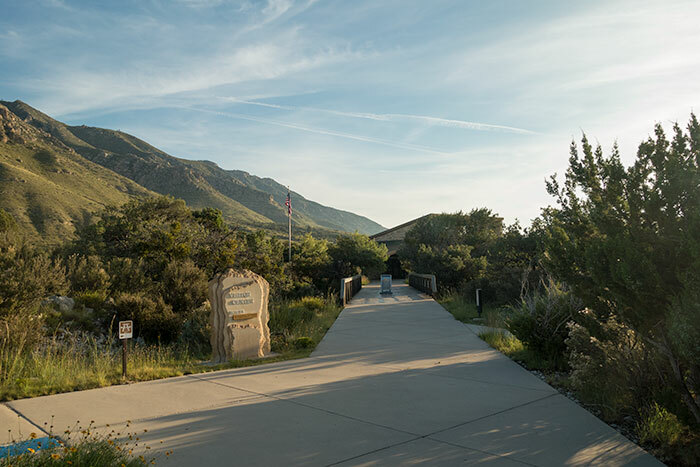 The photo above is the walkway leading up to the Pine Springs Visitor’s Center from the main parking area. Once you cross the small bridge in the picture above, you’ll want to hang a left and go through the sitting area. The trailhead will begin just behind the building (to the left of the building) on the other side of the sitting area. 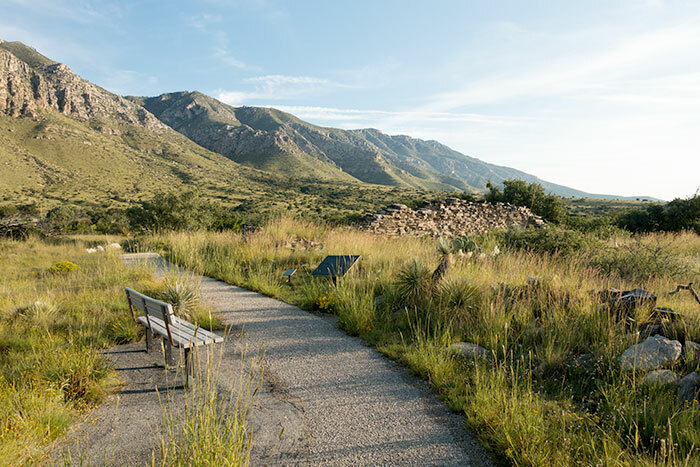 The first portion of The Pinery Trail will take you along a paved path through the desert brush with the Guadalupe Mountains rising up on your left and the desert lowlands to your right. 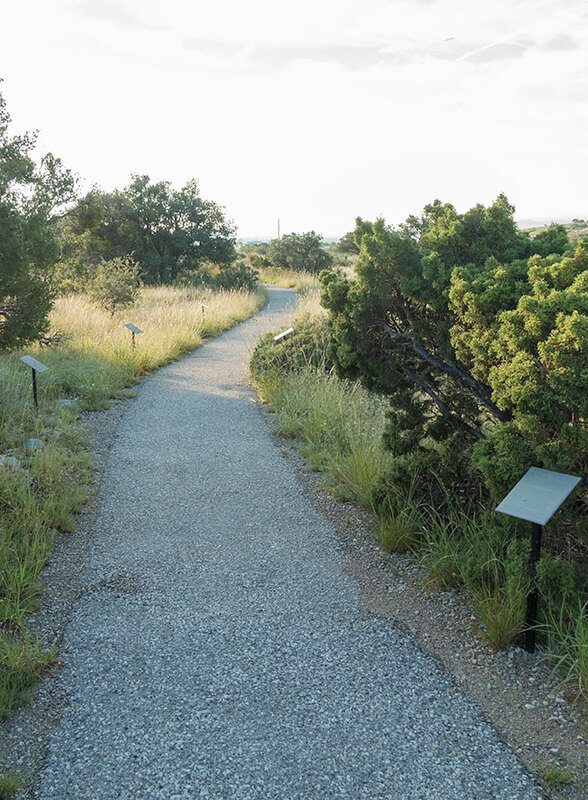 Along the path you’ll see numerous signs identifying the variety of plant-life that you’ll encounter in the Guadalupe Mountains region. 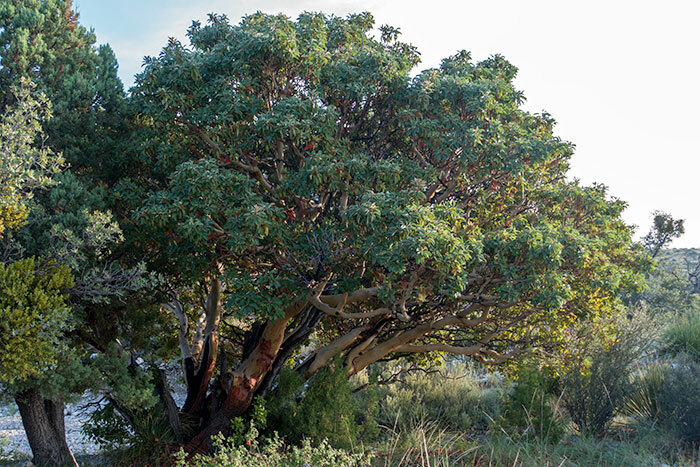 These signs are helpful to identify unfamiliar vegetation, such as the Texas Madrone Tree (one of my favorite trees in the region, with its smooth reddish inner bark), which is an unusual tree that, in the U.S., is uncommon anywhere other than Southeastern New Mexico and West Texas. 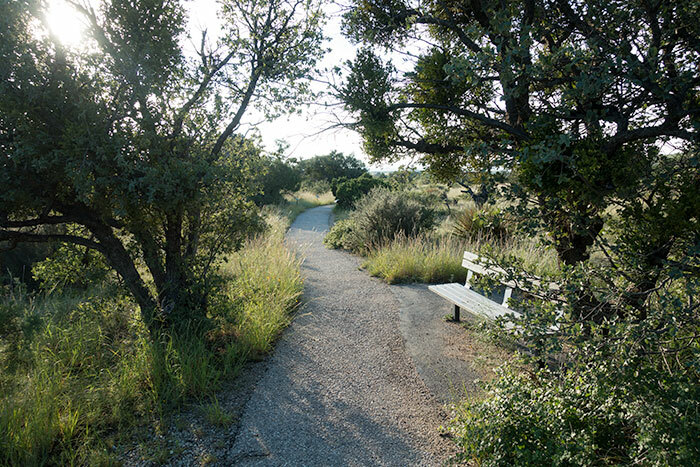 In a couple of spots along the trail you’ll find benches where you can sit and relax before moving on. This one was set up in a nice shady spot. Perfect for getting out of the midday sun. 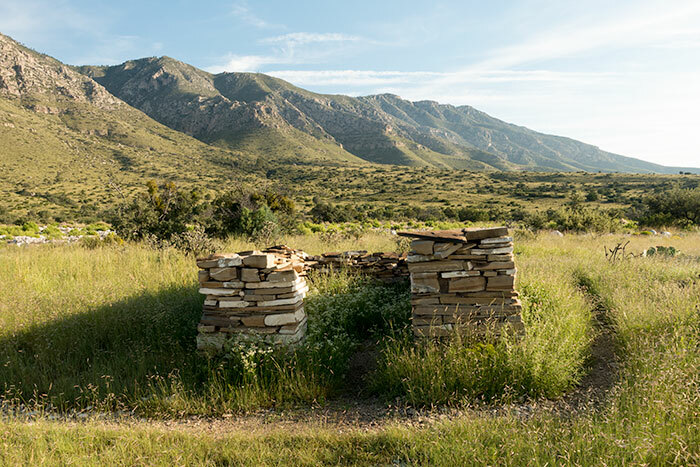 About one-third of a mile down the trail you’ll hit a ‘T’ where a right turn will take you to the highway parking area, and a left turn will take you to the ruins of the Pinery Station, a way station along the Butterfield Overland Mail Route. Once you take a left turn here you’ll find another bench (no shade) with a sign that gives you a brief history of the area. Just beyond the bench and sign, you’ll find some of the remnants of the original Pinery Station. 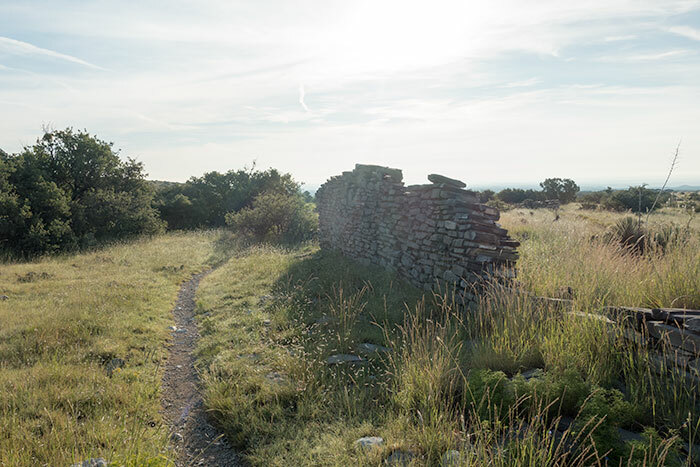 From here the pavement ends, but the trail continues on for another hundred yards to the ruins of an old outbuilding. It appears from here that the trail continues on in a couple of directions. In one direction, it dead-ends about a hundred foot away in a dry creek-bed. The other takes you through a rough trail back to the highway parking area. The easiest thing to do from here is just backtrack over the trail you just hiked, back to the trailhead at the visitor’s center. 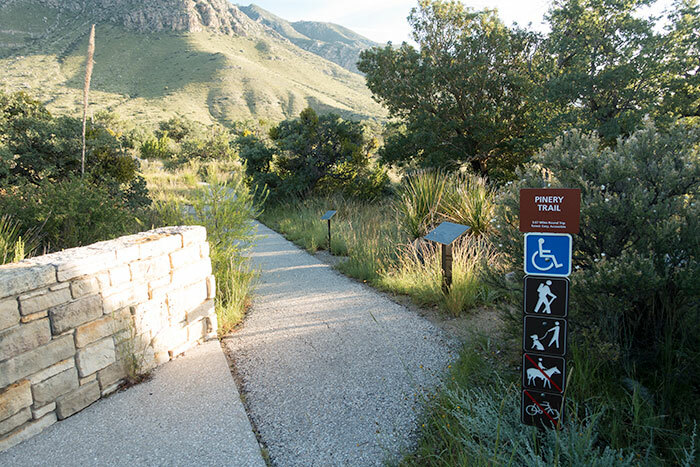 If you want a full guide to all of the hiking trails in Guadalupe Mountains National Park, we recommend picking up a copy of Hiking Carlsbad Caverns & Guadalupe Mountains National Parks on Amazon. It covers almost every trail in the park and easily fits into your pack. 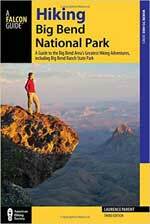 A copy of the National Geographic Trails Illustrated Map should also be in your pack.